Lamp holders and infrared heat lamps used for warming litlle chicks and piglets at birth. 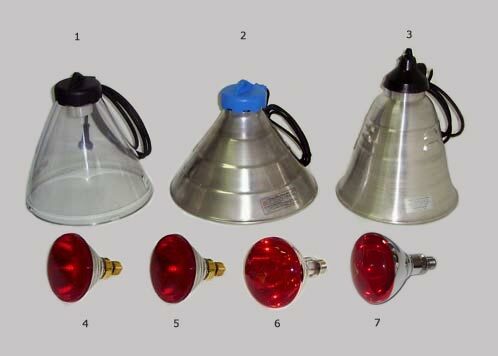 Three model of lamp holders and three of infrared heat lamps for most common uses in this field. The lamp holders are realized in aluminium and polycarbonate while lamps power is 100, 150 175 and 250 Watt.